There are many reasons why homeowners choose to have trees removed from their properties—overgrowth, disease, storm damage or close proximity to power lines or other structures. Tree removal is a complex process that requires a specific sequence of tasks using proper equipment. It is for this reason that homeowners should always hire a team of professionals who are trained and equipped to tackle the job. Tree removal carries with it many unpredictable events, even for small trees that seem easy to remove on your own. The way in which the tree spins and twists when cut is not a factor that can be controlled, and can lead to a dangerous, or even deadly, accident. The type of tree that is being cut also makes a big difference in the way it bends as well as how much weight it is capable of withstanding. That means each tree removal is unique and requires a unique approach. Licensed tree removal companies are highly trained in arboriculture, and have the ability to assess the safety hazards of each tree to remove it in the safest way possible. Repairing a tree is not always your best option. 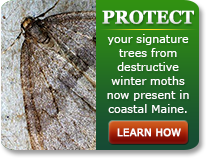 Ideally, homeowners will recognize a dangerous tree in time to arrange a planned removal. Sometimes, a storm will create a removal job that needs to be done professionally in order to prevent further damage. Lucas Tree professionals have years of experience assisting homeowners in the removal of trees. Our highly trained crews use state-of-the-art equipment to remove the tree(s) with as little impact on the landscape as possible. As part of the tree removal service, many people also choose to have the resulting stump ground down below ground level. Stump grinding can be accomplished with specially designed equipment provided and operated by Lucas Tree arborists. Tree removal requires a small team of professionals, specialized equipment and an orderly process that starts from the bottom up. The first step of the process involves cutting off the limbs closest to the ground so that they will not obstruct the falling of heavier branches which are closer to the top. To control heavy limbs, lines are looped over them and used as a pulley system. Maintaining control of these tree limbs and getting them to the ground carefully is crucial for safety and landscape protection since a 100-pound limb can hit the ground with a 200-pound force after just 12-inches of free falling. After the limbs are removed, the leafy crown is next to come down. Once the trunk is bare, a chainsaw is used to cut the tree into smaller sections, working down from the top until the trunk is at a safe height to be felled whole. During the entire removal process, crew members on the ground work efficiently to pick up the fallen limbs and branches and feed them into a wood chipper where they are turned into mulch. Once the tree has been removed, the remaining stump is leveled as close to the ground as possible and grinded down if the homeowner chooses. 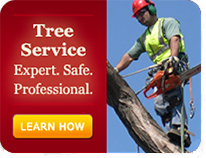 The job of cutting down a tree is a meticulous process that requires a team of experts. Don’t make the potentially dangerous mistake of thinking a chainsaw is all you need to remove a small tree from your property; it isn’t worth the risk. It is always a wise investment to call in the help of a tree removal company. For dependable and efficient tree cutting services, look no further than Lucas Tree Experts. We’ve been experts in the field of tree care and lawn care for over 80 years, and we take great pride in our certified arborists’ ability to tackle even the most complex tree removals. This might include preventative tree maintenance recommendations,tree trimming and pruning to remove dangerous, broken or unsightly branches or tree cabling to restore a damaged or aging tree to renewed health. For more information about our tree removal services, talk with a Lucas Tree Expert today and see why so many of our valued customers build a lifelong business relationship with us.